McCain is well on his way to being one of the forces of the National Hunt game and despite his Cheltenham Festival runners not quite being of the numbers of Nicholls, Mullins, Pipe and co he is starting to build up a tidy little portfolio. Statistically speaking (and using the market as a guide) McCain is over-performing with his band of runners and they are still probably going off at slightly bigger odds than they should be. But from angles to his winners come from, where are the zones he needs to improve in and can we profit from any section of his squad in particular? *Note – I would view these as potential emerging trends. Personally I would like to have more to work with although I always think it is beneficial to get an early handle on these ’emerging trends’. Since 2007 McCain has had 7 winners at the track and 6 of them have been at the Festival in March. Quite a difference! His runners have been slightly under-performing at the track outside of March; he has gone there with decent chances on a few occasions. I think it was interesting to hear McCain comment recently that he “knows how important it is to have a Festival winner“. He accepts that he is one of the strong yards in the jumping game and the expectations that come along with that. Personally I think the above figures show that whilst he recognizes a winner at Cheltenham (any Cheltenham meeting) is important it’s so much more important for his profile to have one in March. Essentially, don’t let his overall track record put you off as he is more than capable of getting one ready to fire come the Festival. 5 of his 6 festival winners were fancied in the market on their prep run. The early signs say you want a McCain runner that was well fancied LTO, the ones that were not well supported in the market probably also don’t have a great chance come the Festival. Clearly it isn’t a damming statistic but it interests me because we often see a McCain front-runner slamming its rivals through the week in, admittedly, lesser races. Is it a case of a superior class and fitness edge allowing his runners to bully inferior opposition at lesser tracks in mid-week racing? I would say yes, it is. The festival can be a hard place to make all from the front anyway but the above is, at the very, least something to keep in mind. Can Overturn put one on the board for the McCain front-runners in the Arkle on Tuesday? All 6 of his Festival winners wore no sort of corrective application. An obvious one maybe but, again outside of the amateur races, only one other jockey has even managed to get a McCain horse to place at the Festival, from 15 attempts. As mentioned this is a fairly obvious angle but nevertheless it is interesting to note that only 1 other jockey has managed to ride a McCain horse into the places (outwith the Amateur races). 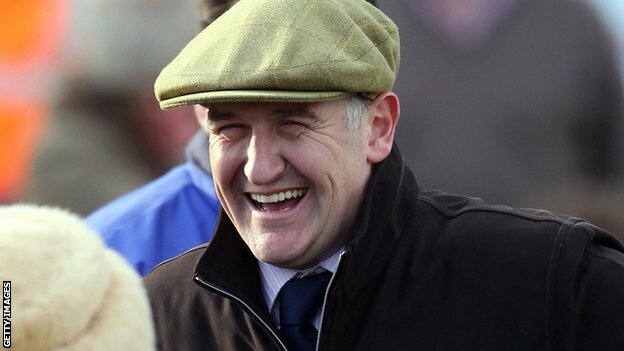 Donald McCain – Cheltenham Festival: The Money Shot! 2013 NTF Cheltenham Festival Service – Doors now open! The doors for my 2013 Cheltenham Festival service are now open! I will be closing the doors tomorrow so if you want to receive the NTF guides for the 2013 Festival then make sure you act soon. Don’t miss YOUR slot on the service! HAVE READ ALL YOUR ARTICLES CLOSELY AND WOULD LIKE TO GIVE YOU A BIG THANK YOU FOR ALL THE BRILLIANTLY PRESENTED INFORMATION PLUS STATS.KEEP UP THE GOOD WORK AND HAVE A SUCCESSFUL AND PROFITABLE CHELTENHAM FESTIVAL 2013. Many thanks for that and hope you have found them helpful. Fingers crossed the point towards some winners (and this blasted wet weather stays away!!). Dont like to use stats blindly always like there to be some kind of reasoning behind them .. Have to say these are all top trainers and the fact its the pinnacle of the whole season its has def reasoning behind it ..I also take note of any trainer that has a winner at the featival and look at any of thier runners at lot more closley ..Following these stats especially the money shot and taking a note of trainers performances over the last week or so in fact the whole season as a whole think is guarenteed some nice profits ..Thanks for your hard work and time .. Thanks Harry, appreciate your comment. Trainers are creatures of habit and it is no fluke they produce similar type winners year after year.